Three yachts, a RIB and a speedboat were all rescued by Gosport & Fareham Inshore Rescue Service after they got into trouble in choppy Solent waters this weekend. One yacht was saved from crashing into Haslar Sea Wall, Gosport, after losing all power and steering off Gilkicker Point, while a second was safely tugged off a wall at Port Solent after breaking free from its mooring in rough weather and running aground. GAFIRS crews were on watch at Gosport Lifeboat Station, Lifeboat Lane, throughout the bank holiday weekend and it wasn’t long before they were called into action. The first call came on Good Friday when UK Coastguard tasked the crew to assist a speedboat whose crew had dialled 999 when they broke down off Peel Bank buoy. On Saturday, GAFIRS crews assisted a 37-foot yacht which issued a pan-pan distress call when its engine stuck in forward gear as it left Portsmouth Harbour. UK Coastguard tasked GAFIRS crews to assist and after power was cut to the engine, the vessel was towed to Premier Marina, Gosport. On Sunday, GAFIRS were called into action a further three times. The first was to a yacht that issued a Mayday distress call after losing power and steering in rough seas. 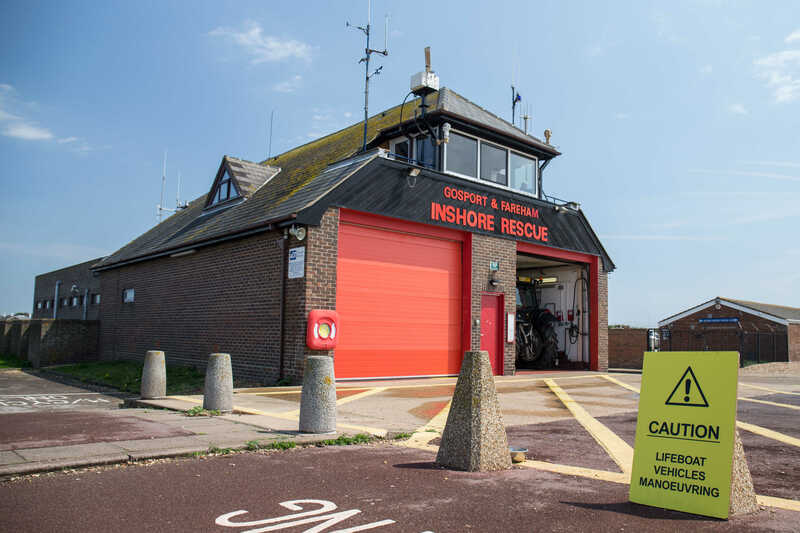 A few hours later UK Coastguard called GAFIRS into action again after a small rigid inflatable boat (RIB) with two young men on board got into difficulties by the Hot Walls at the entrance to Portsmouth Harbour. When GAFIRS crews arrived the boat and passengers were being assisted by a tug. The lifeboat team took over and towed the small boat back to Camber Dock, Old Portsmouth, and returned the two youngsters safely to shore. ‘Just as soon as we dropped the casualties to the shore we were tasked again to a yacht crashing into the sea wall around Port Solent,’ added Mr Allen. Fortunately Easter Monday was far quieter for GAFIRS as many boat owners decided to stay in port after Storm Katie had battered the area the night before.